We have a special treat in store for you this week during our weekly live call-in podcast. Special guest Tim Schafer will be joining us to take your calls. 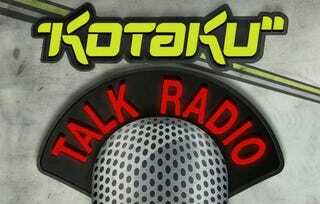 To those of you new to Kotaku Talk Radio, every Wednesday at 1 p.m. Eastern we stream a live video game talk show through the tubes of the Internet straight into your home and ears. You can pick up a phone, or use Skype, and call us to chat, ask questions or harass Totilo. While we haven't wrapped up what else we'll be talking about during the special show, Schafer tells us he's 100 percent confirmed. Tim Schafer is the founder of Double Fine Productions. While his latest game to hit consoles is Jack Black rock anthem Brutal Legend, he is perhaps best known for his work on such memorable games as Psychonauts, The Secret of Monkey Island, Maniac Mansion: Day of the Tentacle and Grim Fandango. So mark your calendar now and don't forget to tune in, and call in on Wednesday to talk to Schaefer yourself.